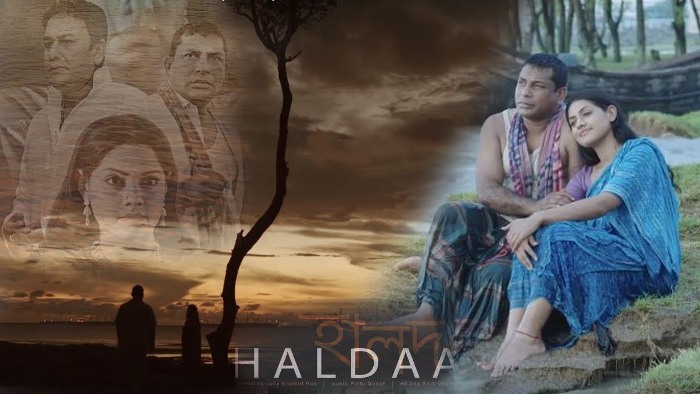 National Award winning film ‘Haldaa’, directed by Tauquir Ahmed, will be released on December 1 across the country. Marketing and promotion team coordinator Monjurul Islam Megh said the movie will be released in 100 cinema houses in the country on December 1 while in 16 countries on December 8. “The film is the reflection of life around the Haldaa river. Their culture, lifestyle and language will be presented in the movie. It was tough to work there for the crowd but it is expected to be a great experience for the audience for its different flavour,” he said. Earlier the official trailer and two songs of the film were released. This is the fifth movie of the director. His another film 'The Unnamed' (Oggatonama) recently achieved the best screenplay award in the SAARC Film Festival 2017, held in Sri Lanka's capital Colombo. Prominent actors like Zahid Hasan, Mosharraf Karim and Nusrat Imrose Tisha played the lead roles in the film.